Rampage Products has got it, Two tops in one! Featuring special mounting style which allows for use with or without OE window channels. Included Heavy-duty zipper mechanism allows quick and easy conversion from brief to topper or back to brief top. The rear piece attaches to provide rear passengers protection from elements. Special two sided pocket seals shut with a reinforced zipper to provide extra storage. Rear piece zips out for storage when not in use. Double center strap with quick release hooks for extra reinforcement. Included Storage bag for rear piece mounts to roll bar. 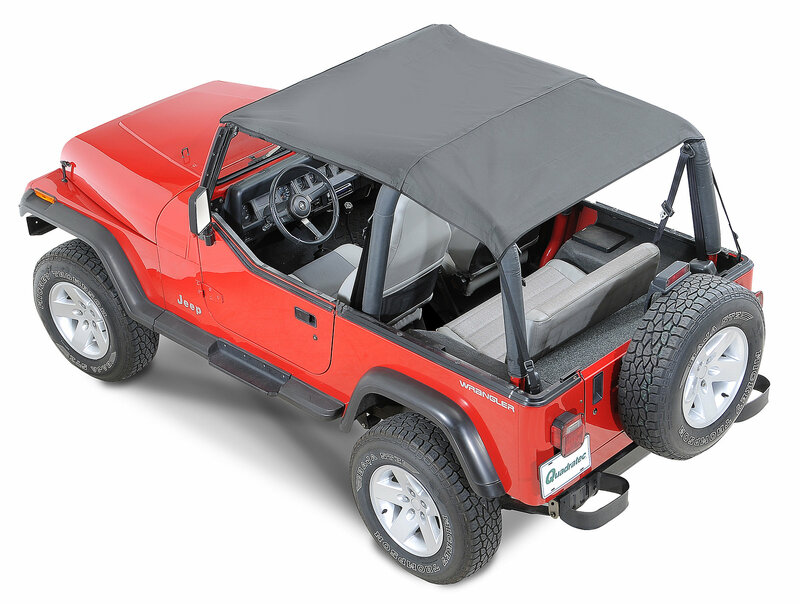 Also available in Mesh Material constructed of a durable UV treated mesh fabric specially designed to block the heat while letting the cool breeze flow through. Is an okay product. But, when when pulled tight in back zipper want to un zip.